Growing up on the East Coast, Hawaii always seemed like a fantasy location. I believed journeying to this paradise in the Pacific was a treat reserved only for honeymooning couples or residents of California. But as those of you who read my last guest blog know, I sat down several years ago to compile a list of all the places on this amazing globe that I long to visit. This year, it was time to turn the fantasy of Hawaii into a reality. 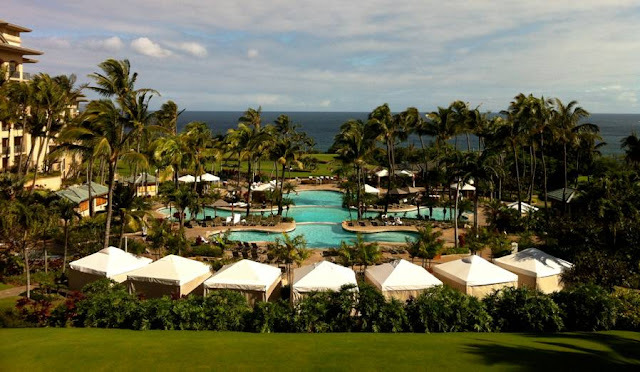 I spent my first five days on beautiful Maui, Hawaii’s second largest island, at the Ritz Carlton Kapalua. 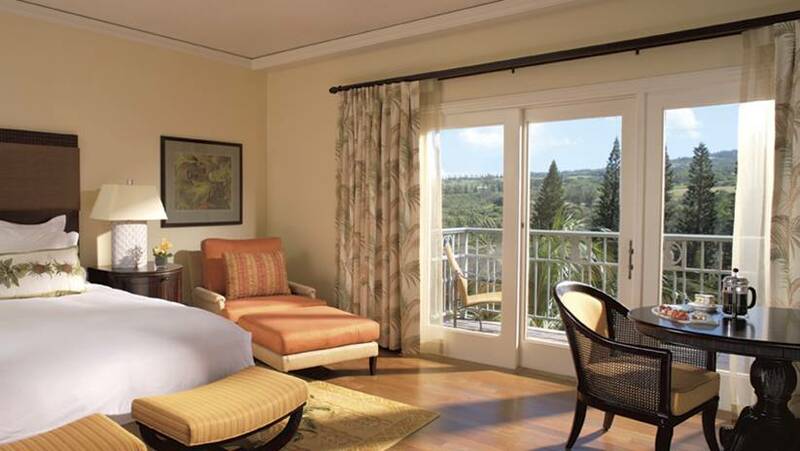 Located on the north western side of the island, this luxury resort offers idylic coastal views, access to a world-class spa, an award-winning restaurant, and recreational activities organized by the Jean-Michel Cousteau’s Ambassadors of the Environment program. My travel companion and I took full advantage of all that the hotel had to offer, including exploring the nearby tide pools, going on sea kayaking and snorkeling excursions, getting hot stone messages, and of course, some sunning by the pool. Terrace Room. Choice Deluxe or Deluxe Ocean rooms for partial or full ocean views. Bathrooms include dual vanities, bathtub, and separate rain shower. In addition to access to incredible activities, the food at the hotel was spectacular. For a break from lounging in the sun, guests can take a quick stroll to the edge of the pool area to dine at the café. 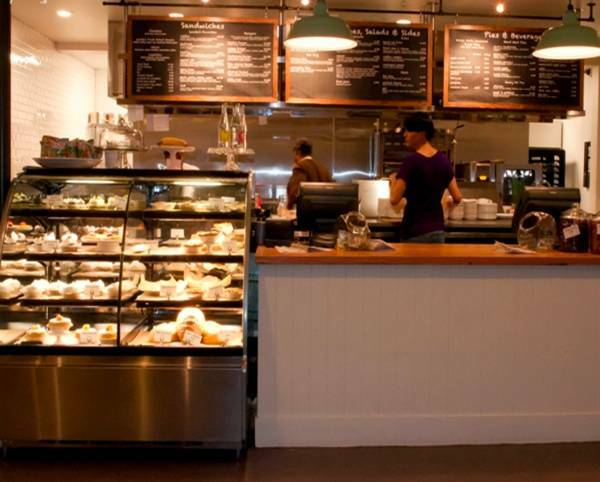 This outdoor restaurant offers a nice selection of appetizers, salads, and sandwiches. Substitute fruit for fries with your sandwich to indulge in fresh local pineapple. 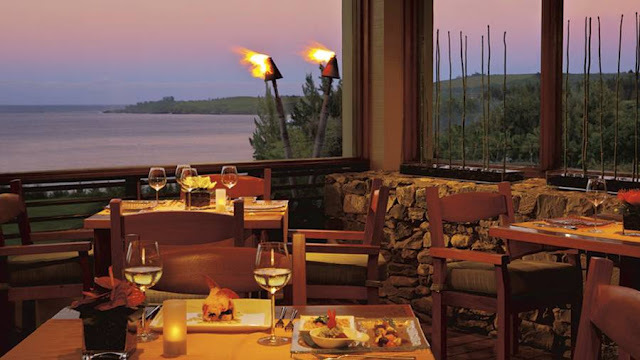 For dinner, be sure to visit the award-winning Banyan Tree. 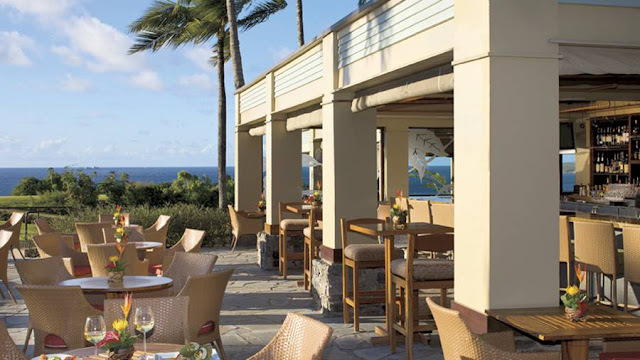 This upscale restaurant serves food that celebrates Hawaii's abundant harvests and fresh catches. Arrive before sunset and enjoy the panoramic views of the ocean from the dining room. 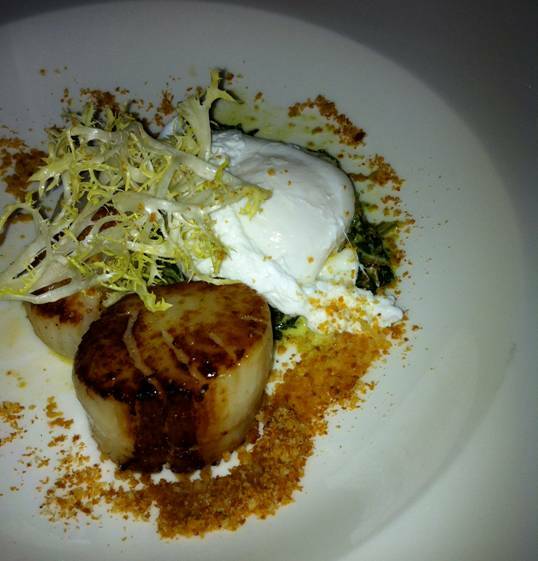 Since the Banyan Tree is the type of restaurant that entices one to splurge, we did just that. We started our meal with pork belly steamed buns, which offered just the right blend of salty and sweet. For my dinner, I decided on two apps: a roasted beet salad and scallops. 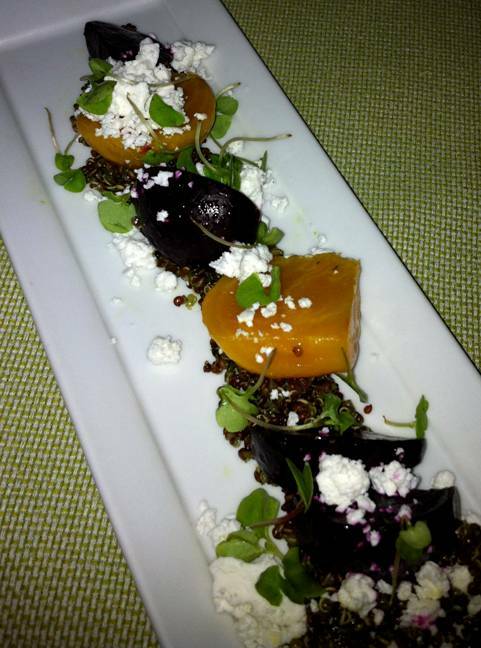 The freshness of the ingredients and the simple elegance of the food were apparent in every dish. The highlight of the meal, however, was dessert. There are few words I like seeing together more than cheesecake, ice cream, and churros. And this dessert lived up to my expectations. 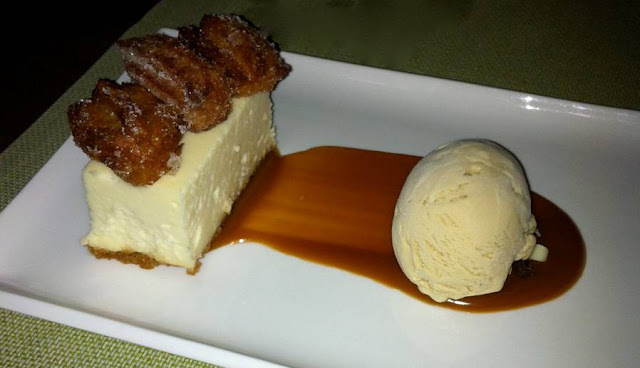 The mascarpone cheesecake was light and airy, the kona ice cream captured the essence of coffee perfectly, and the churros were warm and sprinkled with cinnamon. Overall, it was a dream meal in a dream location. Our culinary explorations, however, didn’t stop at the hotel. 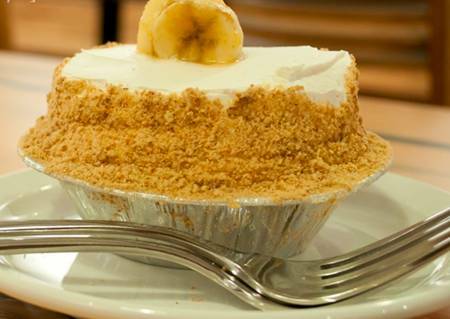 For a more local experience, travel down the coast to Lahaina and visit Leoda’s Kitchen and Pie Shop. In a blink-and-you’ll-miss-it location along Honoapi'ilani Highway, this rustic and homey spot serves a wide range of items from burgers to (fried) brussel sprouts. Sandwiches are made with their freshly baked bread, which expertly balances a soft chewy center with a crispy crust. While the savory offerings are delicious, the pies are divine. You don’t have to tell me twice! 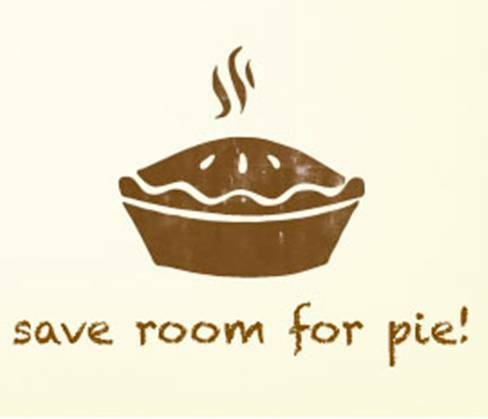 With their daily selection of mini (3”) and regular (5”) pies, it’s easy to get a little collection for taste testing. We went with a mini banana cream, a yuzu-lemon tart (which had a pleasantly surprising hint of mint), and the berry pie (a warmed frutti di bosco pie filled with blackberries, blueberries, strawberries, and raspberries.) Topped with a generous dollop of home-made whipped cream, the mixture of berries provided the ideal blend of sweet and tart. 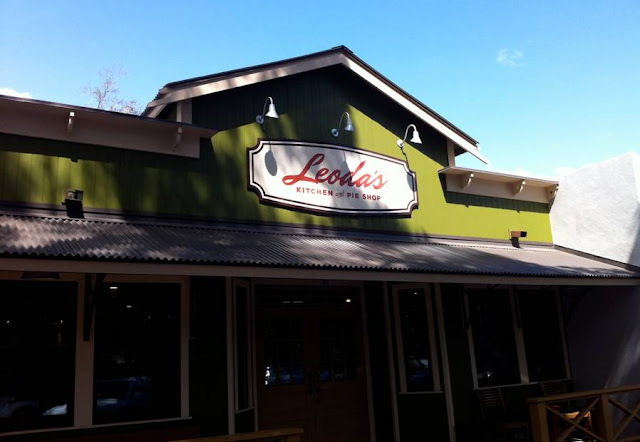 Both the food and the atmosphere made Leoda’s one of those places you visit while on vacation that you wish was in your home town. Hawaii, you were everything that I could have possibly imagined. 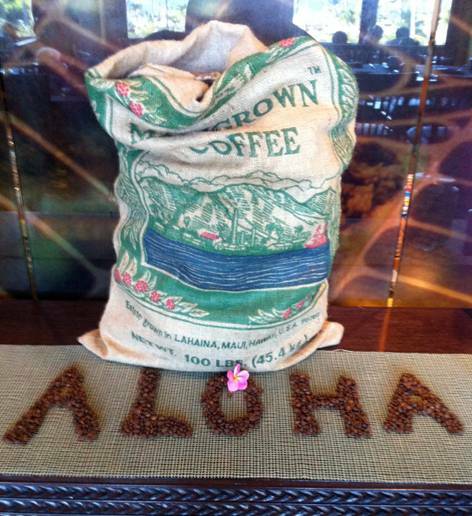 Aloha and mahalo. My husband and I just returned from a five night stay at the Ritz. We had a fabulous time. We staying in an oceanfront residential suite. We enjoyed the breakfast buffet at the Terrace restaurant every morning, We ate at Leoda's twice. We also ate at Aloha Mixed Plate and and Star Noodle. I hope to return to Maui again soon.